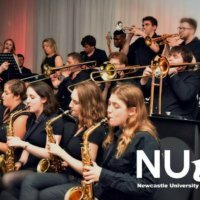 We are a community cooperative set up to support the learning, performance and development of jazz, related music and the arts. Based at the Globe in Newcastle upon Tyne, we are the first cooperative in the UK to own a music venue and education centre. We put on gigs and courses there and at other venues. Our inspiration is Keith Crombie, known locally as The Jazz Man, who died in December 2012. 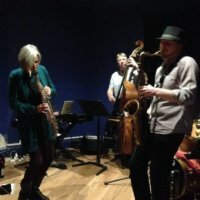 Jazz.Coop provides opportunities for people to listen to, learn and play jazz and related music. 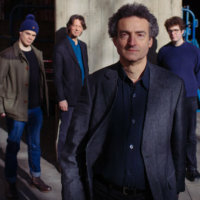 In 2018 Jazz.Coop put on 70 jazz gigs. Most of these featured local musicians but 12 featured touring acts of national or international standing. The Globe also hosts over 300 other live music and dance events. 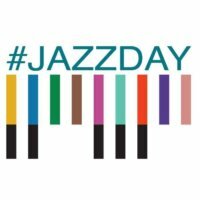 Jazz.Coop aims to make jazz more accessible by programming it alongside other music. In total we provided over 700 learning places in 2018. 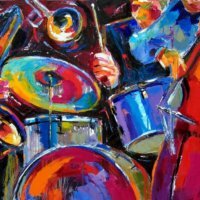 Jazz.Coop provides opportunities for jazz musicians of different abilities to develop their skills. 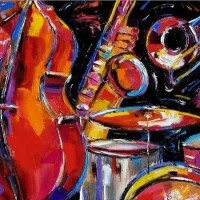 There are monthly and weekly jazz jam sessions – 75 a year in all. There are two series of showcase events for jazz vocalists – 12 a year in all. 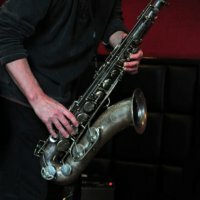 The well-equipped jazz bar can be hired by bands for rehearsals or showcase gigs. Membership is open to any person (or organisation) that supports the objectives of the cooperative. To become a member you must complete an application form and buy shares. Shares cost £1 each. The minimum shareholding is 200 and the maximum is 20,000. You can complete this form, or alternatively download this pdf version of the form, print it out and post it to us! What a night! What a picture!